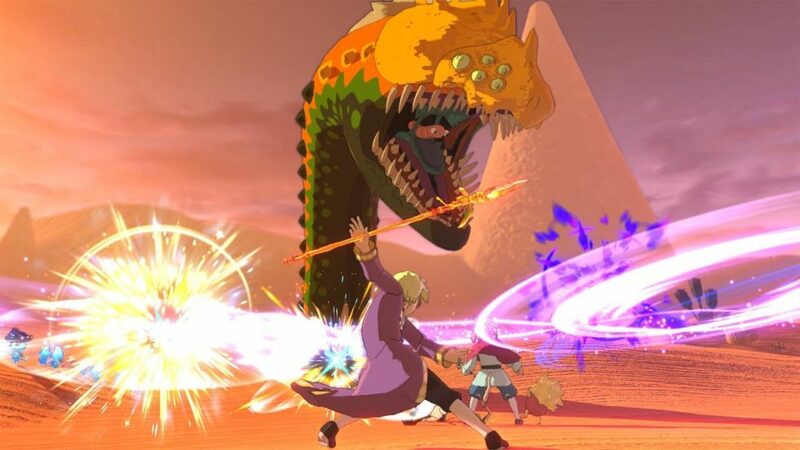 Developed by Level-5 and published by Namco Bandai, Ni no Kuni II: Revenant Kingdom makes its way to the west. The game comes as a sprawling kingdom building action-role-playing affair filled with cute characters and plenty of an-thro-po-morphized animals for the furry audience. You play as prince Evan and Roland from the offset. Evan is a young troubled boy of the Ding Dong Dell Kingdom which is inhabited by humans, rodents and cuddly cats. However, before one can find ones feet, there is a Coup d’état where the rodents rise up against the cats with Evan’s father – the king – being murdered and the rodents making a claim for the throne. Evan and his unwitting partner Roland – who mysteriously is the President of another country from an alternate dimension – have no choice but to escape Ding Dong Dell. Yes, it all sounds a bit chaotic but is the perfect setting for King Evan’s rise to power. 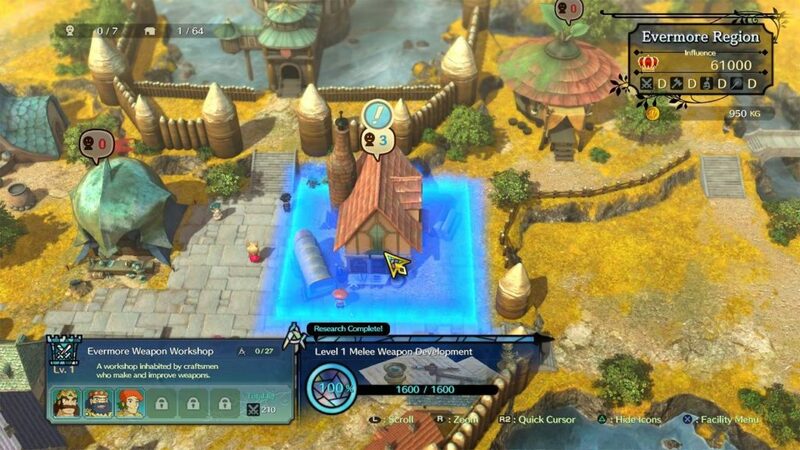 You see, the core feature of the gameplay aside from entering dungeons for loot and items, or navigating the world map with Chibi looking avatars for farming mobs and loot is to build the new kingdom of Evermore. Named as such because Evan holds the belief that he can unite all the separate kingdoms under one banner, with no more war and for people who can live happily ever after. All together now, Ahhh! These are lofty goals indeed for such a young lad, but with an assortment of adult partners who Evan adds to his entourage along the way the task is certainly a possibility. That is without venturing any further into spoiler territory for the rest of this review. Gameplay is rather multifaceted where there is a simplistic real-time combat system for taking out mobs and bosses with light and strong attacks, blocking and dodging. You can weapon swap, use ranged or melee attacks and of course utilize special skill moves during bouts. There is also an undercurrent of using Higgledy characters which add modifiers and assistance during battles. These noisy characters can be levelled up and your party customized as you find more and add them to your roster. 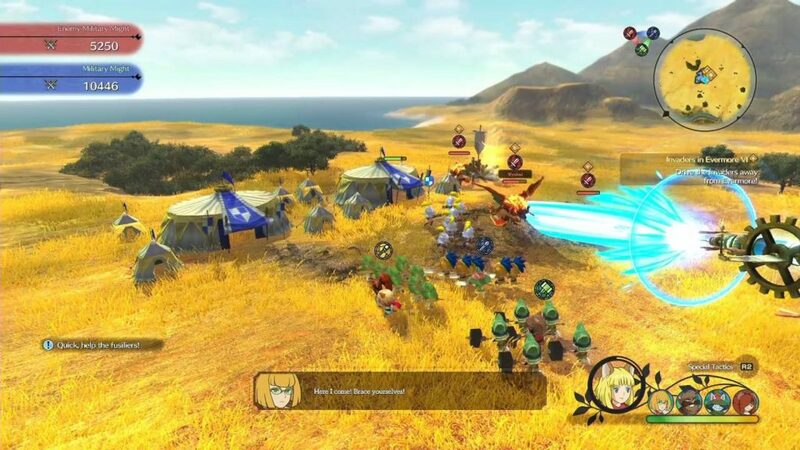 You can swap playable characters on the fly as well during battles (of which you are locked into fight areas until you defeat the enemy or flee) with a party of three at any time. Each character has their own attack style but what makes the freedom of characters more interesting is the fact you can swap out Evan if his boyish looks are a bit too much for you; with Roland being a more fitting character for some no doubt. Combat is pretty satisfying as loot drops freely and companion AI actually contributes without too much babysitting. However, it is rather easy unless you dive into fights against opposition with a much higher level rating than your own. What is neat is how at first enemies will attack your party on sight, but as you progress and level-up they will begin to ignore you, making for easier progress across the world map or named zones. This is a very good gameplay decision which allows players the choice to pick and choose when to fight rather than stop every few seconds for a random encounter, especially as each enemy displays its level so you know what you’re letting the team in for before the fight. The enemies don’t scale with the character level either which means some neat going back to previously visited areas and kicking tail! You can also embark on some group combat moments where you gather four teams of troops of various skills and fight the opposition in a top down tilted view skirmish much like a real time strategy game (RTS). This is a neat extra and allows you to take out command posts and chase down bandits and such like for map dominance which is dictated by your team’s might level. Might depletes every time you need to replenish troops or use special attacks. Away from the combat (which makes up a big slice of the play time) there is a massive amount of role-playing quests to undertake with the aim of recruiting people to your new kingdom to help it flourish. These activities boil down to elaborate fetch quests or taking out specific enemies, talking to people etc. However, because there is a more rewarding end-goal in sight, then undertaking so many has its benefits even if they can become a little tiring after prolonged questing. What you do get though which is quite clever is a bit of back-story for every inhabitant of your growing city. Which brings us onto the final facet of the gameplay which is the construction of Evermore and its continued management. Evermore starts out with just a few basic buildings but as its influence grows by recruiting more citizens and assigning them posts, so does the option to expand. Eventually Evermore becomes a lively city which brings in its own set of rewards for nurturing it. In a nutshell, you hunt for new people who can bring their own set of skills to the table, assign them to a specific building such as Mining as an example, then you can research if their IQ is high enough to add more bonuses to other areas of the gameplay or more valuable harvested items (you manually collect currency and items which build up automatically). The more recruits you bring in the better each building performs. It’s a great little meta game which puts all the questing together nicely giving them more purpose than just gaining a monetary or item reward. 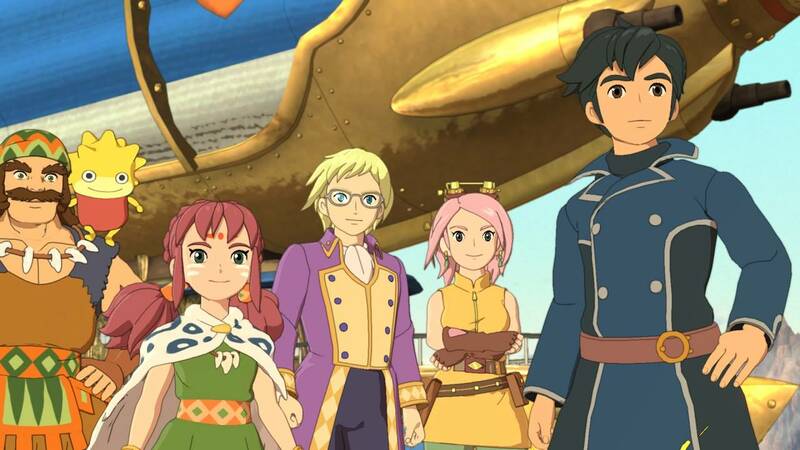 In terms of visuals Level-5 has done a good job of bringing Evan, his chums, and the themed kingdoms to life. Whilst not the most detailed looking game, the visuals are good enough for the anime art direction. That said, with HDR enabled the visuals stand out more, especially bright flashes during the cutscenes making for a pleasant looking game at times. 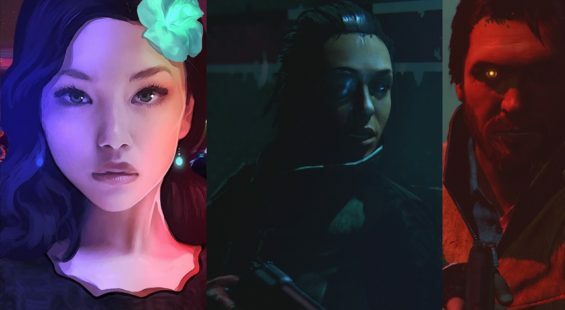 The visuals do sit on the side of cute for the sake of inclusion no doubt, and this might be off-putting for more mature gamers looking for more adult themes such as blood which you won’t find here at all. Audio is of a mixed approach as well with an interesting pleasant soundtrack that changes theme depending on the location you’re in as you would expect. It’s the voice overs where the game opts to provide full voiced sections and then some with repeated phrases or sounds to correspond with text subtitles. It’s a shame there aren’t more voiced sections, but this is a big game with probably many pages of dialogue stretching the budget. So expect a lot of reading, although if you’re impatient then you can skip a lot of the inconsequential dialogue. 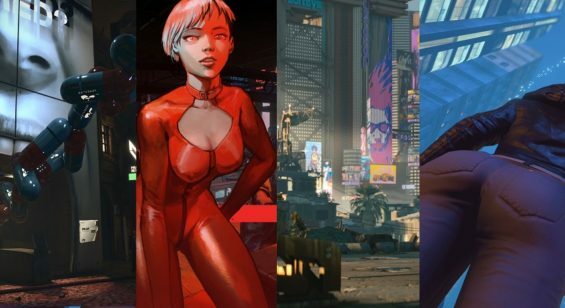 In terms of length there are enough distractions and questing outside of the main story to keep players well hooked into double digits and beyond. The gathering of citizens and building of Evermore is a big part of the game’s hook and also a time eater as you hunt down all avenues and continuously expand. The pricing is a little on the high side (£49.99 RRP) but pounds or dollars per hours played means it’s a reasonable investment. 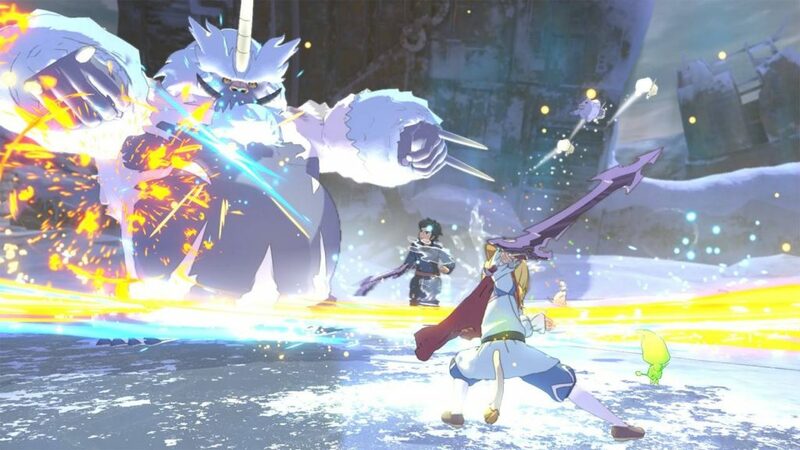 Ni no Kuni II: Revenant Kingdom is an interesting prospect, but if we break down each section into a raw form then it comes across as quite a simple game at heart. This has to be stated for those looking for a deep experience because sadly you won’t find it here. There are some good ideas on offer and plenty of components to sink your teeth into but none push the boat out in terms of complexity. This approach might leave older gamers potentially unfulfilled all said and done. That said, there is an entertaining, albeit predictable story here, enveloped by a genuine feeling of accomplishment as progression is made even if the journey is relatively tame and somewhat artificially elongated at times with all the repeated tasks. Younger gamers will have a field day as this game ticks all the right boxes. Older gamers looking for a more relaxed role-playing experience will find the pacing and features just right. 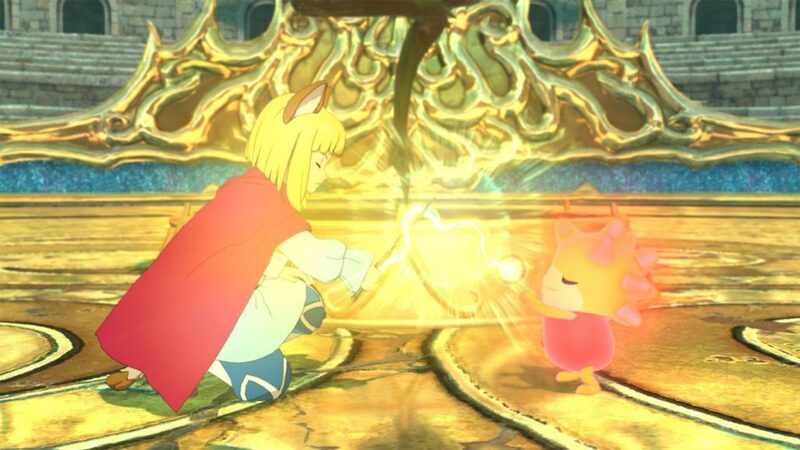 Ni no Kuni II: Revenant Kingdom is a cute, cuddly and often mesmerising fun to play adventure with its multifaceted gameplay which manages to peak and maintain interest from start to finish. Don’t expect much depth as the cute visuals hint at a game that opts for inclusion rather than appealing to just mature audiences.